When a new restaurant hits the Edmonton food scene it's usually somewhere in a popular neighborhood, be it along Whyte Avenue, 124 Street, or the Downtown core. But one of Edmonton's newest eateries finds itself in an unexpected area just outside downtown in Norwood. 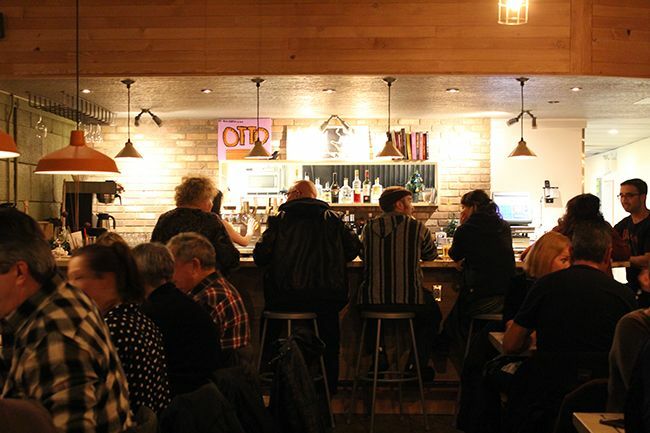 Owned by former Culina partner Ed Donszelmann, Otto quietly opened it's doors late December with a menu dedicated to sausages and local craft beers. 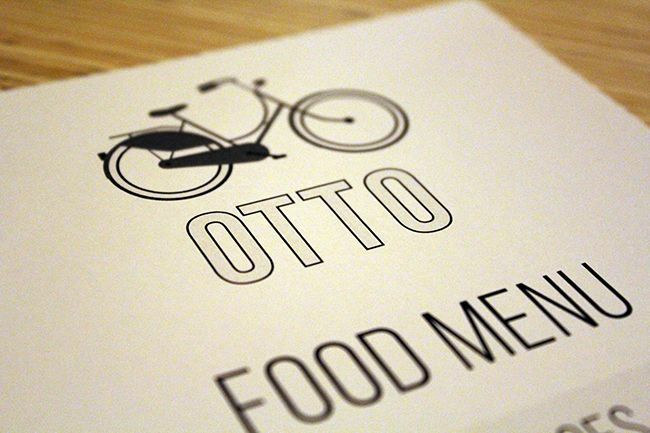 Being of Dutch heritage, Ed hoped for Otto to be a neighborhood meeting place modelled after restaurants found in Amsterdam and throughout Europe. In an unassuming location, Otto sits on the main floor of a small apartment complex. This 50 seat restaurant features booths, multiple tables, and a large community table flanked by classic wooden classroom chairs. 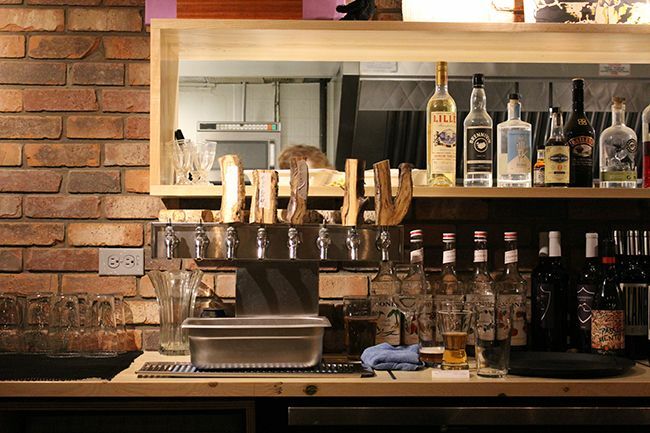 The decor may be simple, but the homey touches up at the bar give the space a cozy feel. Craft beers are really starting to take off in Alberta, given the number of microbreweries that have popped up in the last few years. As a restaurant specializing in sausages and beers, you can bet Otto has an extensive beer list - one which primarily serves Alberta brews. Lagers, ales, IPAs - the list goes on and there is a beer for every taste. Alternatively there is a small, expertly picked wine list for non-beer drinkers. As for the menu, sausages make up the bulk of the offerings. 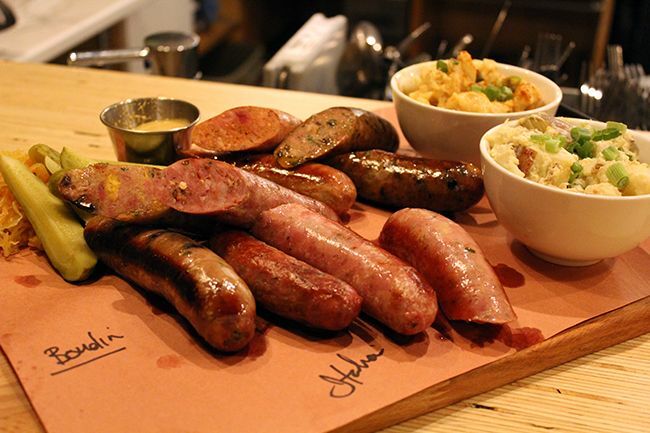 Otto currently has six signature offerings on the menu made locally by Steve Furgiuele of Fuge Fine Meats. 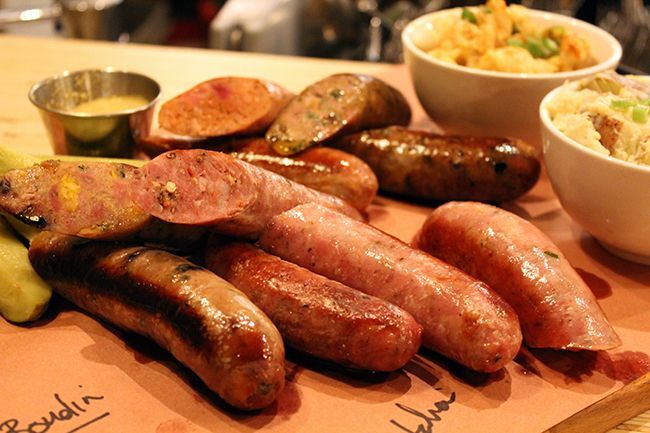 All sausages are reasonably priced at $7 and are served with a small side of sauerkraut and your choice of mustard (yellow, dijon, or hopped). If you're looking for something more substantial add a bun and a pickle with your sausage for an additional $2. Each sausage was well spiced and had it's own unique characteristics. What I really appreciated was the fine balance of meat to fat, lending to a moist but not overly fatty sausage. The men at the table unanimously named the Cornbread Boudin sausage their favourite due to the varying textures and light sweetness, but my favourite had to be the OTTO dog. It had great texture and the garlic combined well with the melted, oozy gouda. 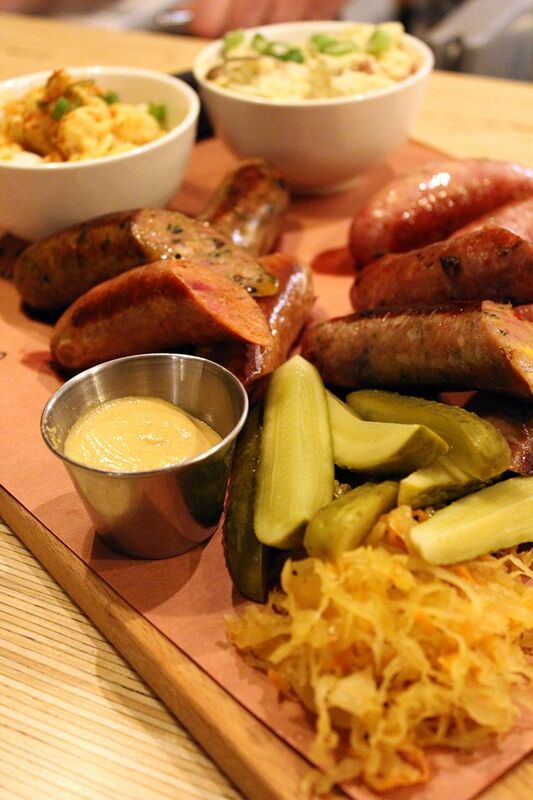 Our board was also accompanied by mustard and housemade sauerkraut and pickles. While the components were great on their own and didn't have overpowering flavours, I did find that they did compete with some of the flavours in the sausages. I actually found myself using them more as a palate cleanser in-between the different sausages, allowing me to go from one style to the next without mixing the flavours together. As for sides, Otto offers seven options, most of which you would typically find as accompaniments to sausages or hot dogs. We opted for the mac & cheese ($6 sm/$10 lg), potato salad ($5 sm/$9 lg), and sunchokes ($8). The mac & cheese was flavourful and saucy and the potato salad was a nice side, but what caught us off guard were the sunchokes. 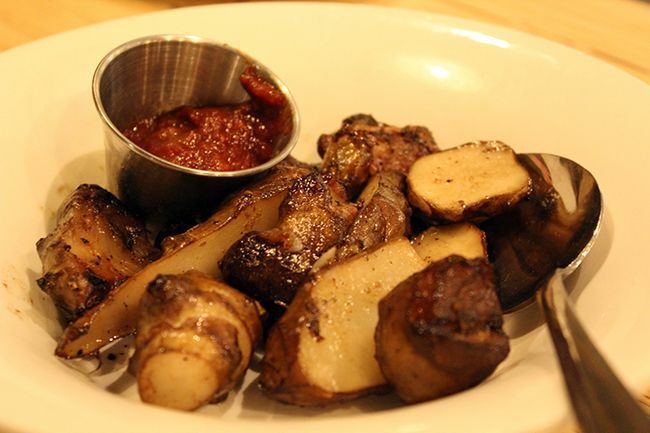 Sunchokes are highly overlooked as a root vegetable and while I'm not particularly a huge fan, Ed said we had to try them. They were delicious - lightly seasoned and roasted perfectly for a nice crunch, the pairing with fermented tomato salsa makes these a must have. 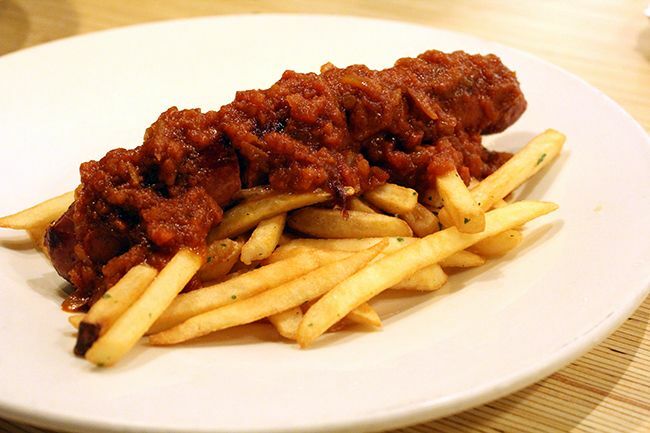 Our last dish of the evening was the Currywurst with fries ($12), one that our German friend was particularly excited for. Currywurst is a common street food found in Berlin, so he was hoping that Otto's iteration would remind him of home. Offered sweet or hot, we went with the former and weren't disappointed. The sweet curried ketchup was well seasoned and went well with the bratwurst and crispy fries. Despite visiting on an extremely busy night, our service was met with a smile and we had no complaints with our food. 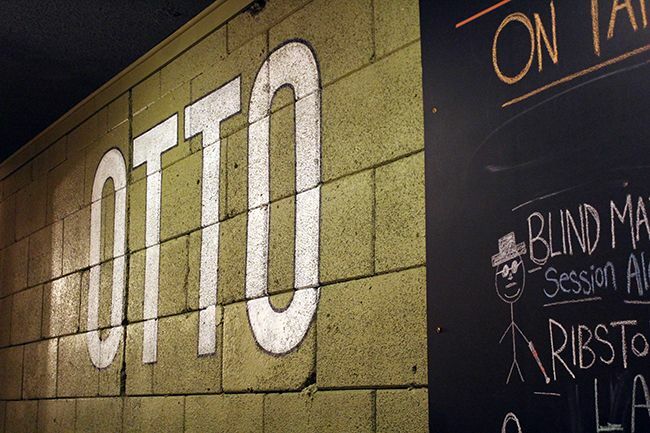 Otto is serving up great dishes at affordable prices, making it a great addition to the neighborhood. It's a casual spot for dinner (and maybe lunch soon! ), and high chairs make it easy to bring the family down for a no-frills meal. I will definitely be back to try more off the menu - don't be surprised if you see me surrounded with bowls of sunchokes and an OTTO dog! Side note - Steve Furgiuele of Fuge Fine Meats is currently running an Alberta BoostR in hopes to open Edmonton's first salumiera. 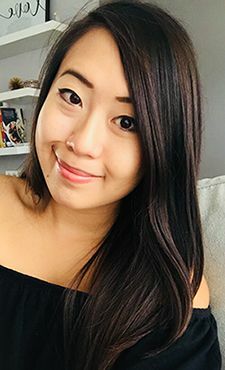 Click through to see how you can help this awesome local business!